BT Ireland has launched the 2019 BT Young Scientist & Technology Exhibition (BTYSTE), which will take place from the 9th – 12th January 2019 in Dublin. The leading Science, Technology, Engineering and Mathematics (STEM) Exhibition is calling on students to begin brainstorming and thinking of ideas before the application deadline in September. To mark the announcement, BT Ireland commissioned a survey of more than 900 workers across Ireland to identify current sentiment and attitudes towards sectors of employment. Of those surveyed, 81% of STEM employees stated they were either satisfied or highly satisfied in their job, followed closely by employees in Health (78%), Law and the Humanities (76%), Finance (76%), and Education (70%). In addition, 82% of STEM employees consider their work to be “inspiring” and 35% said that they found the work they are doing as “pioneering”. This is in stark contrast to the Finance sector where only 7% of employees found their work to be pioneering, and just under 20% were inspired by their work. This result shows that STEM workers are nearly on a par with the 92% of employees in Health who stated that they felt inspired by their work. • 69% of STEM employees expect their salary to increase by over 10% in the next five years in contrast to 24% of those working in Law and the Humanities, and 55% of employees in Finance. • Close to 40% of STEM employees think the best thing about their job is the opportunities to progress compared to those in Education who cited the societal impact of their work as what they liked most (36%). The research highlighted that STEM employees in Galway (95%) are more satisfied with their jobs than their counterparts in Cork (81%) and Dublin (70%). Two in five Galway STEM employees find their work mentally stimulating in contrast to 22.5% in Dublin. The findings also showed regional distribution of types of STEM activities; the majority of Dublin and Cork STEM workers are employed in IT, with 29% of Dublin employees, 21% of Cork workers and 27% of Galway personnel employed in the traditional STEM field of Research and Development. 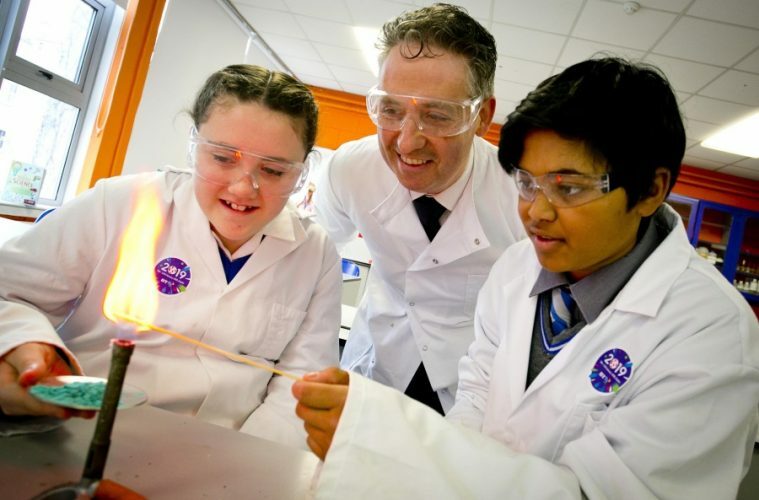 Shay Walsh, Managing Director, BT Ireland said, “Each year we see thousands of young people develop their interest in STEM through their participation in the BT Young Scientist & Technology Exhibition, we’re incredibly proud of our role as the engine behind the Exhibition for the last 18 years. This research presents interesting results, particularly for students and people considering their career options, that STEM not only offers high salary expectations but also the chance to pursue an innovative and highly rewarding employment path.